Volunteers work on the Incline Flume Trail during trail days on June 21 â 23. The trail recently received a $130,000 grant for upgrades and improvements. After years of effort, the Incline Flume Trail was designated as a United States Forest Service trail last May, making official the popular mountain biking and hiking route from Mount Rose Highway to Tunnel Creek Trail. 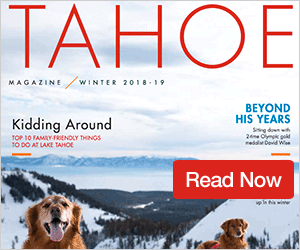 According to a statement from Tahoe Fund, the grant was made possible through a partnership with Friends of Incline Trails to provide funding for environmental permitting necessary to have the trail adopted by the US Forest Service. 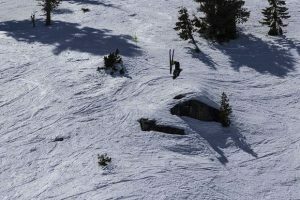 “We look forward to seeing this trail restored and improved to expand safe outdoor recreation areas in our public forests,” said Jacob Quinn, Trails Engineer, Lake Tahoe Basin Management Unit. With the Forest Service designation, the trail became eligible to receive the $130,000 grant, and will benefit from more regular maintenance. 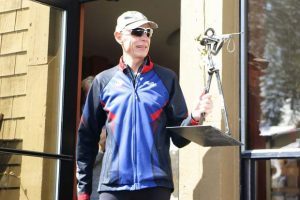 The grant will go toward trail improvements, building a retaining wall in an erosive area, and installing interpretive and way-finding signage. The funding is the latest in a series of obstacles cleared in order to restore and connect the seven-mile trail to the rest of the trail systems around Incline. In December 2015 a major hurdle was overcome when David Duffield and his wife Cheryl donated 18.6 acres of private land, which the trail ran through, to the Nevada Land Trust — allowing for public use of the entire trail. The Tahoe Area Mountain Biking Association, the Tahoe Rim Trail Association and Friends of Incline Trails then built the missing link of trail through the section of property last fall, opening the route in its entirety to the public. The donated section of trail was then transferred from the Nevada Land Trust to the Forest Service, and according to Tahoe Fund, with the Forest Service taking over the remaining section of trail, the entire Incline Flume Trail is now in public hands for the first time in decades. The Tahoe Rim Trail Association, along with Friends of Incline Trails, Tahoe Fund, and Tahoe Area Mountain Biking Association recently kicked off the summer season by hosting trail maintenance days, on June 15 – 17. 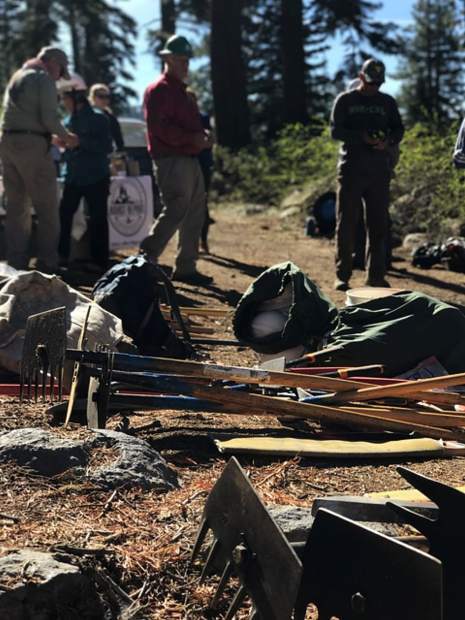 Tahoe Fund Director of Events & Communications Jacob Johnson said the crew of volunteers went up to highest point of the trail that wasn’t under snow to begin general maintenance, which included widening the trail and clearing overgrowth. Johnson said the trail is currently open to the public, but that sections at higher altitudes remain inaccessible due to snow. Restoration work will continue with the next set of trail days scheduled for July 21-23. For more information or to volunteer for a trail building day email info@tahofund.org.